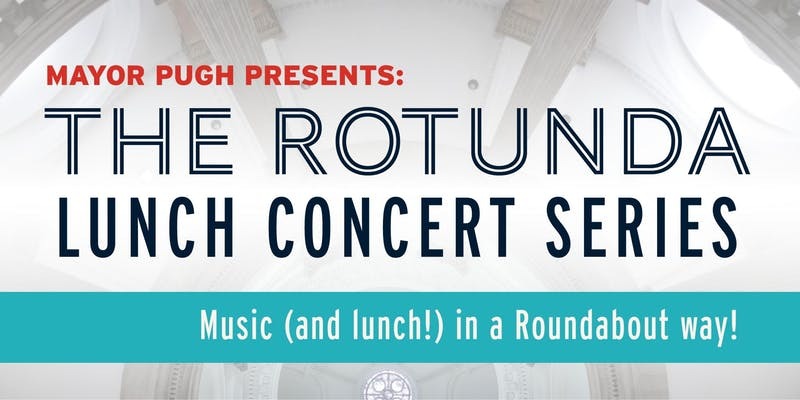 Mayor PughPresents: The Rotunda Concert Series!- Music (and lunch) in a Roundabout Way! Come on your lunch break to City Hall for Live Music by local Baltimore born and based musicians! Bring your own lunch or purchase a lunch on site!